Our Global Education Officer or a Mary MacKillop Today staff member can be invited to visit your school to address students, staff and families at school assemblies or special gatherings which focus on the legacy and charism of Mary MacKillop and explain Mary MacKillop Today’s projects, grants and programs, both in Australia and internationally. Our Global Education Officer can also be booked to facilitate workshops with your students and student leaders or lead professional learning sessions with your staff. These could be around themes of social justice and human rights, advocacy and activism, Catholic Social Teachings and justice education. 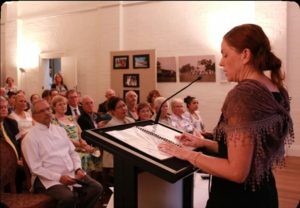 All workshops and learning sessions would focus on the charism and legacy of Mary MacKillop and incorporate relevant and meaningful examples from the work being done by Mary Mackillop Today. There is a standard fee for this service of $300 half day and $500 full day and bookings can be made by emailing [email protected].